There are quite a few cool new things going on over at Ocarina.com as well as with the application itself. For those of you who are not familiar with Ocarina, it is a musical instrument that uses the microphone to detect breath and then uses the iPhone’s touch screen to play different notes (similar to a flute or recorder). Check out THIS POST for more info. 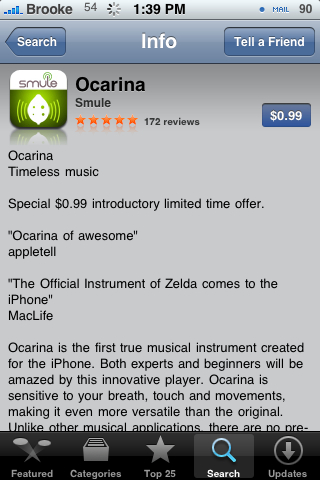 Another very cool application that has been released in the last week is Ocarina. When I first saw this application I was totally skeptical. But, turns out that it is not only real but very cool!! Ocarina is a musical instrument that can actually detect your breath (similar to a flute or recorder)! 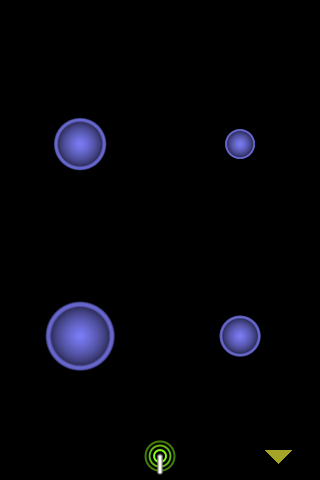 It uses the microphone to detect breath and then uses the iPhone’s touch screen to play different notes. Not only that but it uses the iPhone’s accelerometer to affect vibrato! It is really cool.